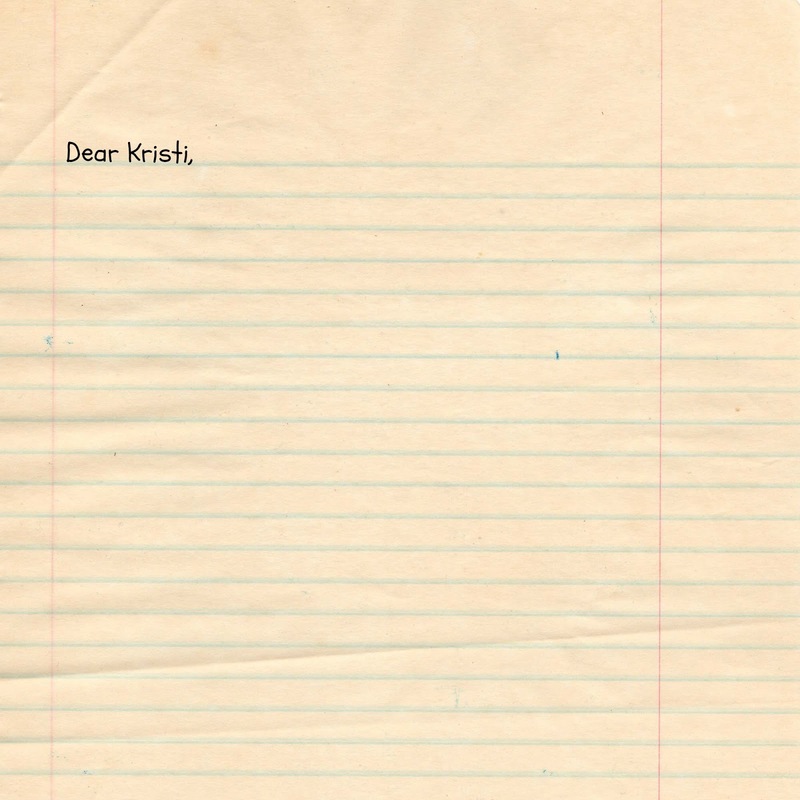 Photo: A piece of lined paper with the words, "Dear Kristi," printed on it. I'm joining in again with the Six Sentence Story prompt, given by Denise at Girlie on the Edge. This week's word: Contest. Once upon a time, before the days of e-mail, instant messaging, FaceTime, or even text; when phones were corded and attached to walls in homes, and calls were charged differently depending on time of day and distance, a mother longed to stay connected to her oldest daughter, who was hundreds of miles away at college. 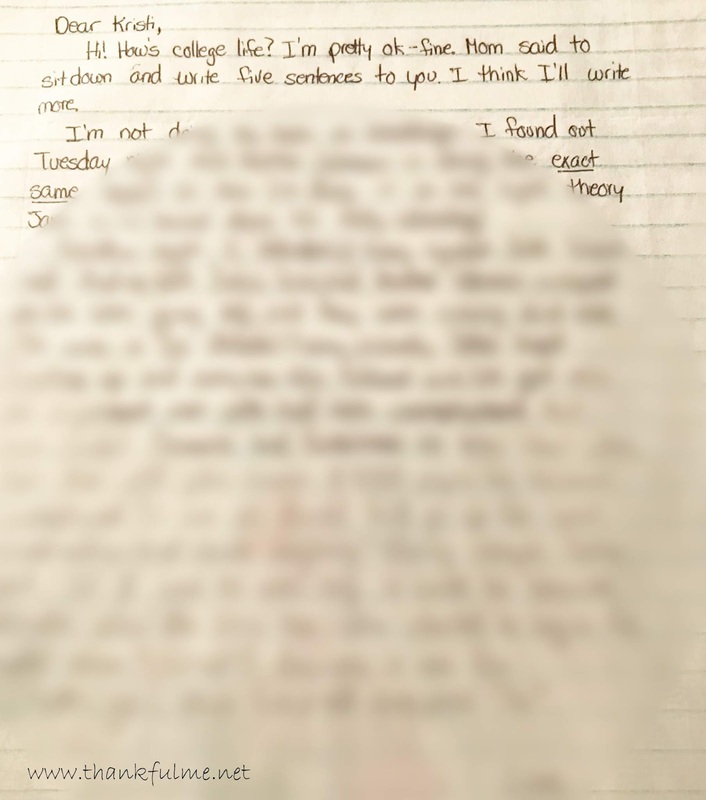 The mother, unbeknownst to her older daughter, invited the two younger children to participate in an activity designed to promote family bonding and strengthen sibling ties: letter-writing. 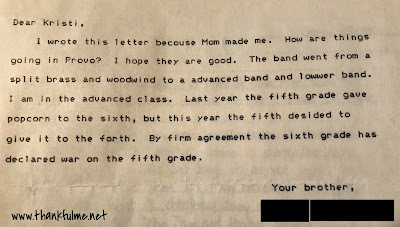 The little brother, dutifully and without enthusiasm started his letter, "Dear Kristi, I wrote this letter becouse (sic) Mom made me." The little sister, on the other hand, wrote, "Mom said to sit down and write five sentences to you. I think I'll write more." While both siblings passed the "letter of the law" test, it was clearly no contest which one actually grasped the purpose of the task. Fortunately, though, both letters brought smiles to Kristi, and were kept and treasured for years to come. 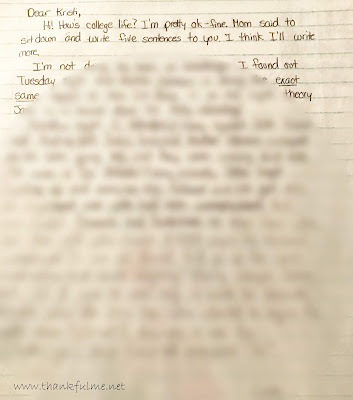 Photo: A typed letter which reads, "Dear Kristi, I wrote this letter becouse Mom made me. How are things going in Provo? I hope they are good. The band went from a split brass and woodwind to a advanced band and lowwer band. I am in the advanced class. Last year the fifth grade gave popcorn to the sixth, but this year the fifth desided to give it to the forth. By firm agreement the sixth grade has declared war on the fifth grade. 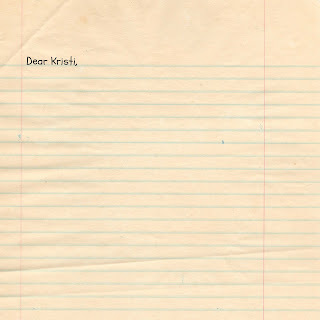 Your brother,"
Photo: Handwritten letter which begins, "Dear Kristi, Hi! How's college life? I'm pretty OK-fine. Mom said to sit down and write five sentences to you. I think I'll write more." What memories those letters must bring! Excellent six. Thank you! The sixth grade declaring war on the fifth grade over popcorn cracks me up! I love this! I love that you kept it, I love what they both wrote, and I love that you keep finding treasures as you organize your office! I've certainly taken on quite the task, but I've got to finish it! This is an AWW Six, Kristi! I love that you saved those letters. I wouldn't have thrown them away either :) I bet reading them is like instant time travel. Wow! There are papers and letters that I wished I'd kept from my childhood and college years. I probably have kept more than I needed to; I think it's tricky to strike the right balance. Very cool. And the first being typewritten! erase, retype and hope to line the paper up exactly? The typewriter we had was the erase, retype, and hope to line the paper up exactly kind. 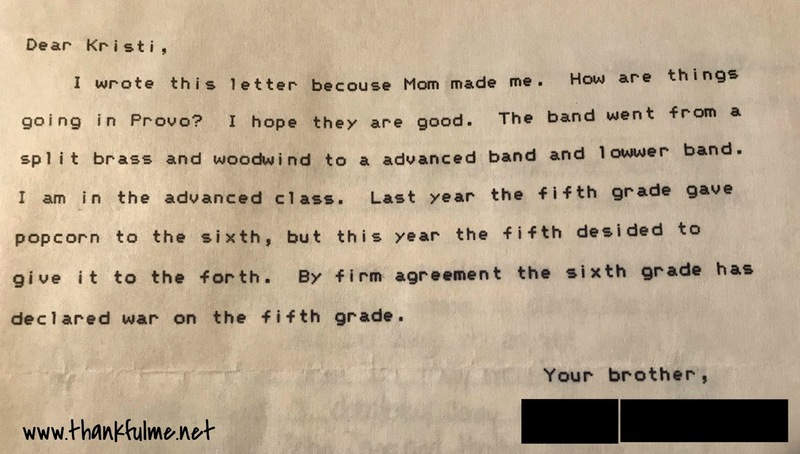 I'm wondering, though, if my brother used a word processing program on a very early (pre-internet) computer to type this letter (which would have then been printed on a dot-matrix printer). My dad was an early-adopter of home computer use and I have memories of sitting next to him, reading lines of code as he programmed. Oh! How awesome to hold such treasures. I have letter from Dad and Mother. So glad. This six brought out my sentimental stuff. I have to take a journey now! Good job.